Park this car in your driveway, and you’ll be plagued into the wee hours by friends, neighbors and passersby, so be prepared. 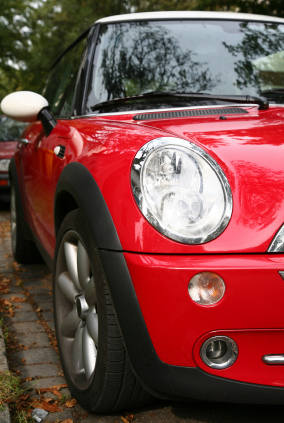 The Mini Cooper, which began selling in the U.S. in spring 2002, is an irresistible mixture of cute and class reminiscent of the original Austin Mini. But don’t be fooled, this contemporary version is a different animal, with all the creature comforts and safety features of the modern age. When the Mini subsidiary of BMW took on the job of resurrecting the 60s icon, the first thing designers did was to examine the original Mini from hood insignia to tailpipe. They analyzed everything from the car’s ride and crash behavior to comfort and handling. What they uncovered were numerous quality and safety issues. “The world has changed a lot in 40 years,” says Heinrich Petra, director of the Mini team. Safety and emission standards are tougher and technology is more advanced. Although designers would incorporate the newest technologies into the Mini, their goal was to preserve its classic design.